My daughter is a devoted fan of Black Veil Brides. Andy is one of her many favorites. 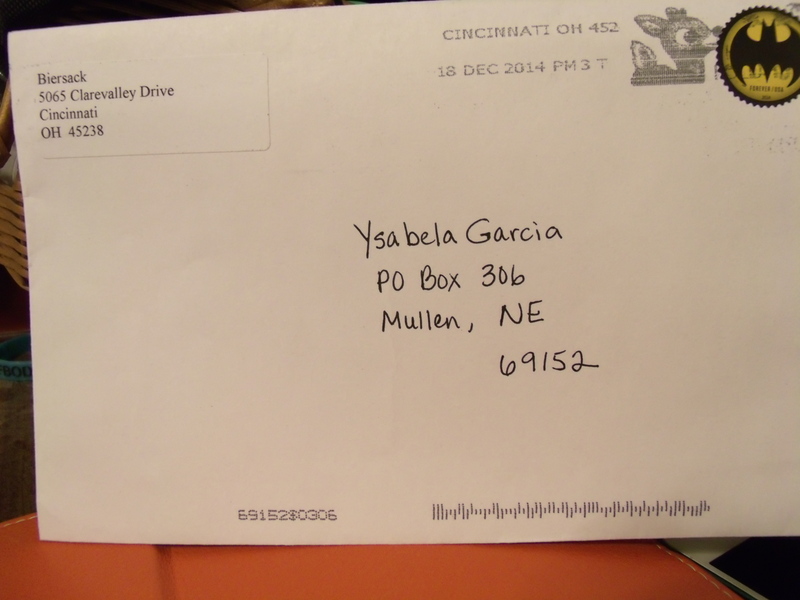 She somehow found an address for his parents. 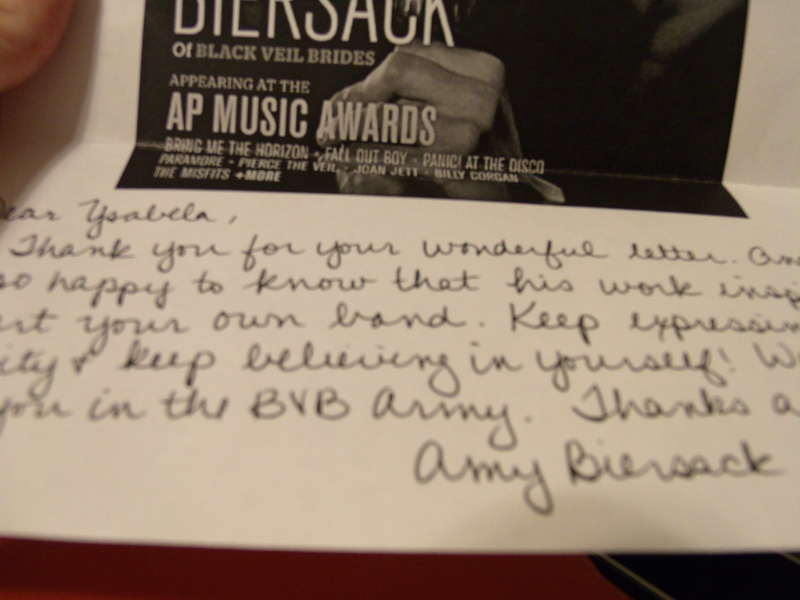 Before Christmas, she sent a fan letter to the address hoping it would reach Andy Biersack. 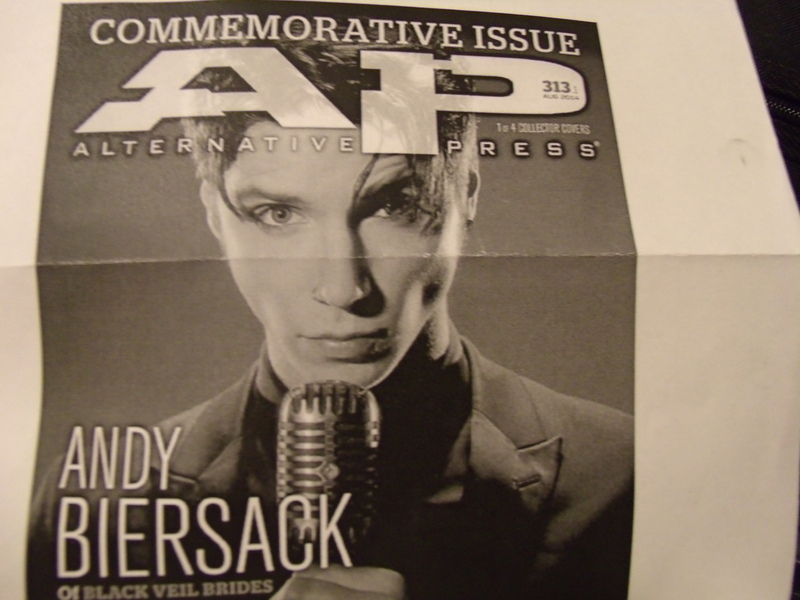 When I checked the mail today, a letter from Andy’s mom, Amy, was waiting for her. It was so cool—it even had a Batman stamp! Bela saw the stamp peeking out from under the rest of the mail and said, “Whoever sent that letter with the Batman stamp is the coolest person ever!” I chuckled to myself since I already knew who sent it. Bela was ecstatic when she opened the envelope! I would like to thank Amy for her kind response. It made Bela’s day! Check out the cool stamp! 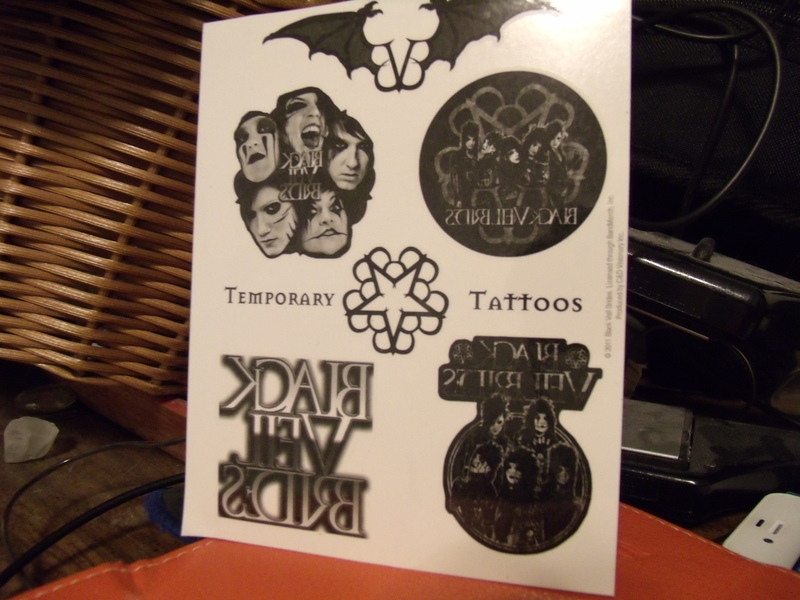 Bela is already wearing one of the tattoos. Amy wrote such a sweet response! ← 2014—Thank You to My Readers!